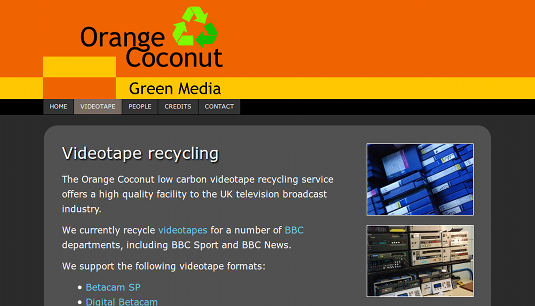 Yesterday a new area was launched on the Orange Coconut site: videotape recycling. I’ve designed and developed this area to support Orange Coconut’s established low carbon broadcast videotape recycling service. The current area will be expanded over the coming days and months with additonal pages to provide more details and facilties.